I would hope that you would not be influenced unduly by our Director of Public Health, Dr Hugh Annett. He and I both took part in a Radio Bristol phone-in on this subject and it became very clear that he has been briefed by the NHS to do the same 'hard sell' on fluoride for Bristol as has been done at Southampton with highly biased propaganda for which a final decision is currently awaited. (26th Feb is forecast). 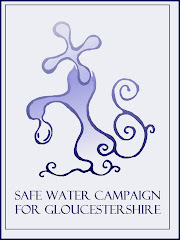 Following the public consultation launched by South Central Strategic Health Authority, Hampshire County councillors voted unanimously to reject fluoridation. There will be trouble there if the unelected SHA goes against the council's vote and pushes it through. Just for the record Steve, fluoride (fluorosilicic acid) is more toxic than lead; and the concentration of the fluoride they want to put in our water will be fifty times the claimed 'safe' level for the added fluoride, 1.0ppm This figure is arrived at by dividing 1.0ppm by the World Health Organisation's published maxima for lead in the environment : 0.02ppm In the words of actor Michael Caine, "Not a lot of people know that." I've followed the fluoride debate for over 40 years and I guess I know a bit more about it than Dr. Annett; inconveniently for him, I'm afraid.